Our vegetable cutting board gives you plenty of room to slice and dice safely and comfortably. This attractive wood board is big enough to handle all types of produce. It’s so attractive; you can even use it as a serving board. It measures 25.4 cm x 35.5 cm x 1.9 cm (10″ x 14″ x 3/4″) and made from 100% of the finest Canadian Maple Hardwood. 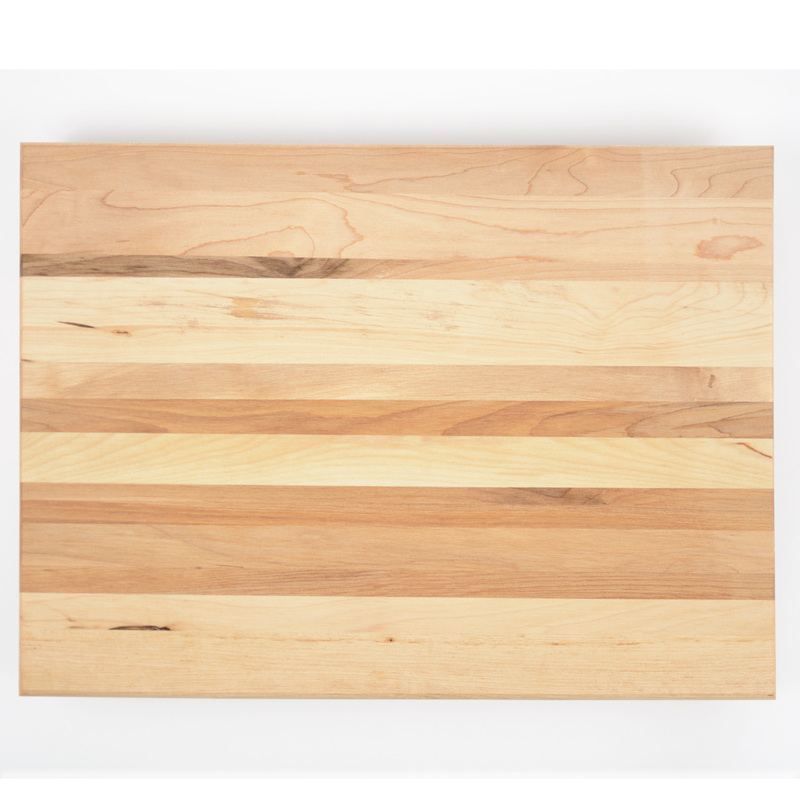 Cutting Board Number: WCB 302. The board is amply sized to give you all the room you need to manoeuvre your knife. At almost 4 lbs. (1.8 kg), it offers a stable cutting surface. It is almost 14 inches long (35.5 cm), 10 inches wide (25.4 cm), and ¾ inch deep. Since it is a natural product, each board is slightly different. The beautiful grain gives it a rustic look that fits in well with all kitchen styles. You can store it in a drawer or cupboard. But it looks so nice, many cooks lean it against the counter wall to show it off between uses. Our vegetable cutting board is easy to maintain. Clean it in mild soapy water and rinse well. Then let it air dry. With proper care, it will last for decades. Is your business searching for a memorable, useful gift for promotional giveaways? This board is the answer! It is a welcome gift—everyone needs a vegetable cutting board. You will be giving your customers something they actually want, will use, and keep on using for years to come. Compare that to the many cheap plastic trinkets that are commonly used for promotions . They get used once, then tossed in a drawer, or in the garbage. When you buy in wholesale lots, your price per promotional gift is reasonable. Wholesale Cutting Boards also offers laser engraving, so you can add your company name and logo. Each time the recipient uses your board, they will think of you. It’s a great way to increase brand recognition and spread the word about your products. 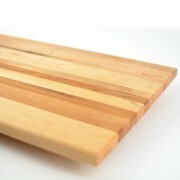 Contact Wholesale Cutting Boards today for more information about our vegetable cutting board.